Located at Shepherd of the Hills Expressway, Branson, MO, Mike Walker Show at Hamners’ Variety Theater is one of the best shows in Branson to amaze every audience as he recreates voices of the likes of Conway Twitty, Ray Charles, Willie Nelson, and many others. Impersonator and singer/songwriter, Mike Walker also performs his original music along with his covers of Marty Robins, George Jones, Brooks-N-Dun, Freddy Fender, Bon Jovi, Journey and much more. Mike Walker performs songs that the whole audience is sure to enjoy, so don’t miss to watch his remarkable performances. 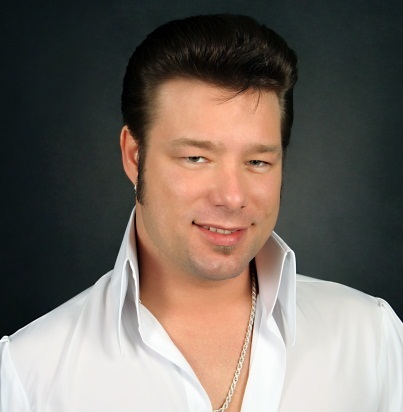 Mike’s humble beginning started when he was impersonating Elvis, but now he doesn’t only impersonate, but he also writes and performs his own music. He has performed on stage and toured with many country stars such as Alabama, Toby Keith, The Bellamy Brothers, Mickey Gilley, Lonestar, Keith Urban, Coasters, Dr. Hook and more. When Mike signed to DreamWorks Record Label in Nashville in 2000, he had made four songs on country radio stations the next year. The video of Mike’s hit song Honey Do was played on CMT and GAC and the popular Who’s Your Daddy which got extensive radio airplay. Mike Walker Lasting Impressions Show in Branson proves that there’s nothing more entertaining than a gifted impersonator. An incredibly talented performer, Walker brings his repertoire of more than fifty celebrities to one Branson stage. You will also see him performs his own music in this unbelievably entertaining Branson show. Don’t miss to watch him impersonating a variety of famous singers including Elvis Presley and Rod Stewart. As he shared the stage with the famous singers, it helped him develop his skills as an impersonator. Watch him impersonates one famous singer after another taking over his voice. With the Lasting Impressions of Mike Walker, you’ll not only enjoy his music and spot-on impersonation of famous recording artists, he also does hilarious impersonations of former presidents and cartoon characters. If this impersonator can’t crack you up, he is sure to make you tremble. With Mike’s amusing impersonations, great music, loads of laughs, and an all-around entertaining show in Branson, you can’t beat the great time that you’ll have with Mike Walker – Lasting Impressions. Mike Walker Lasting Impressions show in Branson is a wonderful showcase for this truly gifted impersonator and tribute artist. Whether he’s impersonating Elvis, or rendering a song in his own voice, you’ll be bolted to the stage throughout his captivating performance. This amazing impersonator is both seriously talented and undeniably funny, there’s never a dull moment when he’s commanding the stage. Mike has got also an impressive music career, touring and sharing the stage with a long list of big names in music industry such as Toby Keith, Brooks & Dunn, Dr. Hook and more. He was also honored to open the show for Jay Leno’s Branson appearance. If you want to hear songs from a variety of singers, don’t miss to watch “Mike Walker Lasting Impressions” at the Hamners’ Variety Theater in Branson.